Patricia Rozario OBE is a renowned singer on the opera stage and concert platform. Her unique voice and artistry have inspired many composers to write for her, notably Arvo P�rt and the late Sir John Tavener. She has sung under Pritchard, Solti, Ashkenazy, Jurowski, Belohlavek, Gardiner, Pinnock, Ivan Fischer, Hickox and Andrew Davis. She has sung opera at Aix-en-Provence, Amsterdam, Lyon, Lille, Bremen, Antwerp, Wexford, ENO, Glyndebourne and Opera North, and performed concerts in Canada, USA, Russia, the Far East, Australia, Europe and UK. She is a frequent soloist at the BBC Proms. 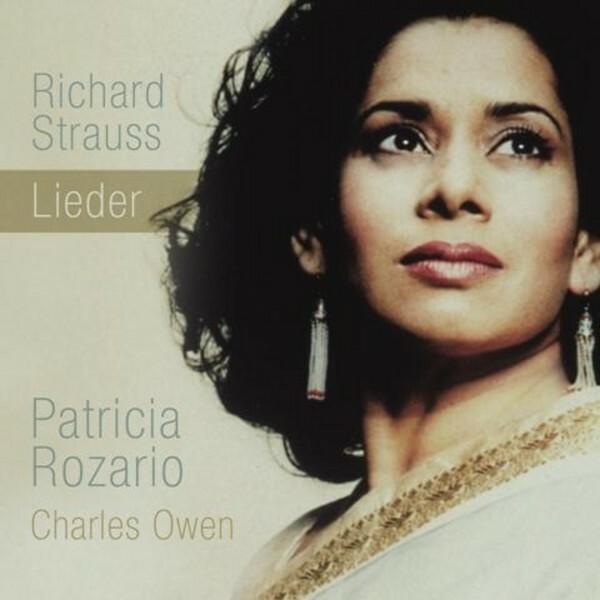 Together with Charles Owen she is also a regular recitalist, and this disc comprises a selection of their favourite songs by Richard Strauss. A fantastic performance by a great recital duo.